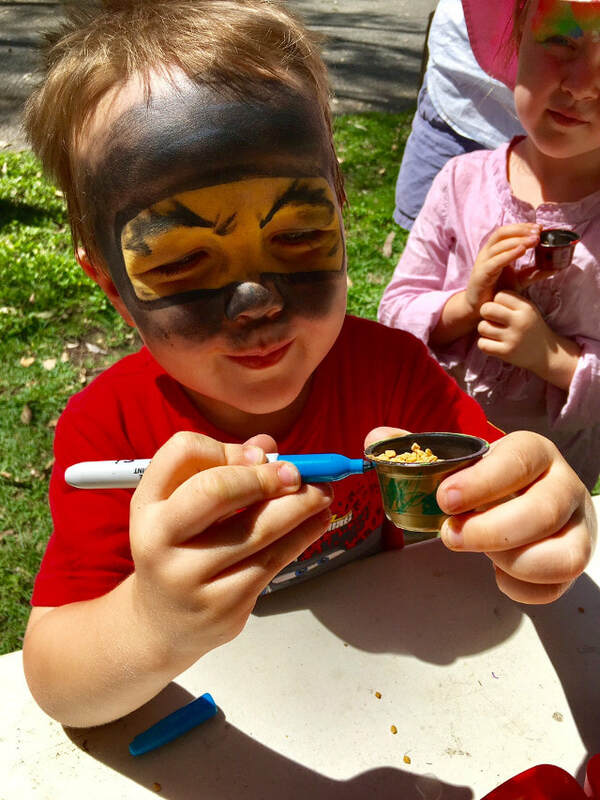 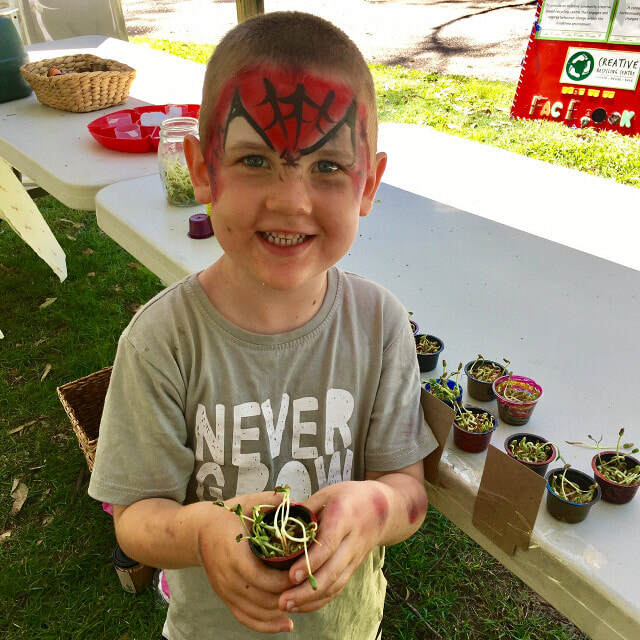 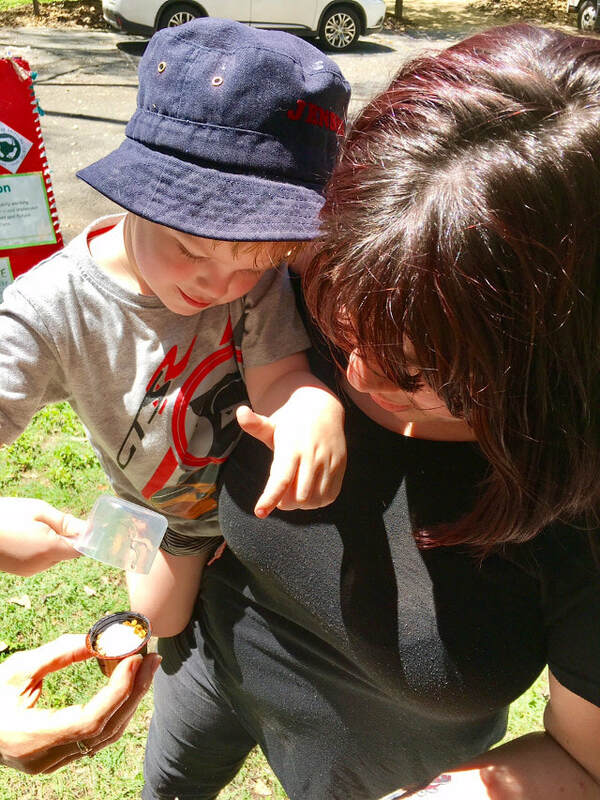 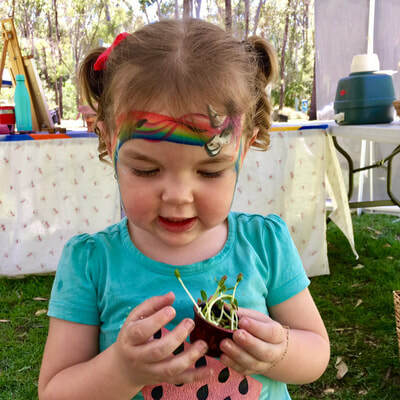 Paperbark fridge magnets and mini bean sprout pots were two kids’ activities the Creative Recycling Centre held at the Tondoon Botanic Gardens Family Days in 2017. 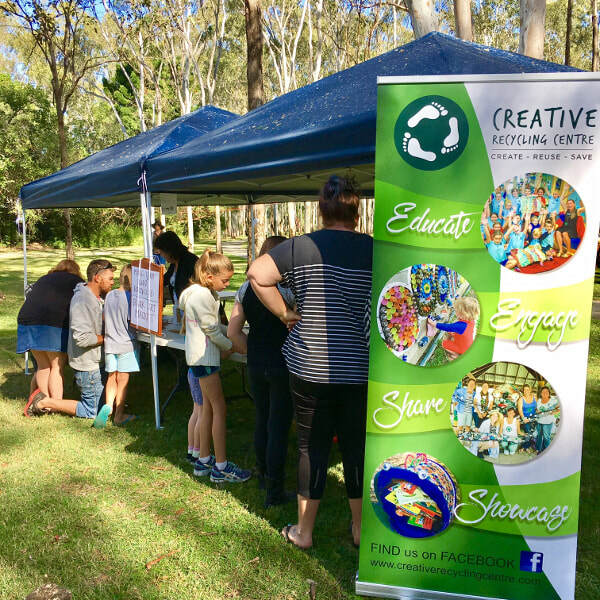 The CRC loves the challenge of coming up with activities using recycled materials and is looking forward to more Family Day events this year. The Paperbark fridge magnet project involved making magnet bases from obsolete advertising magnets and discarded boards from a cabinet maker. 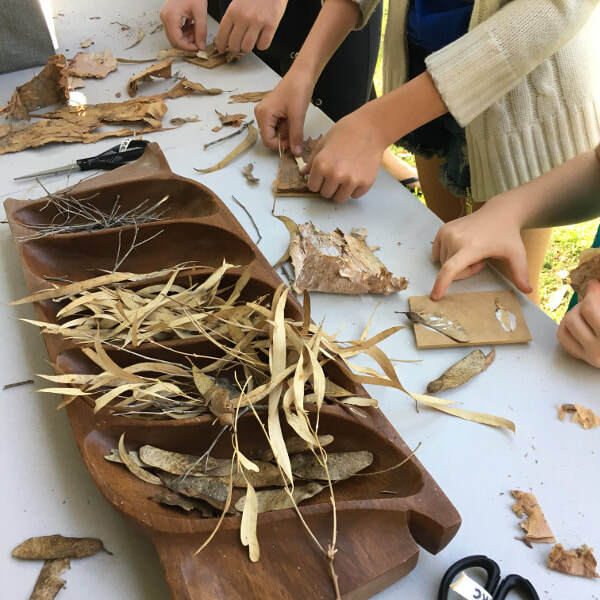 Paperbark was collected on site with permission at the Botanic Gardens. 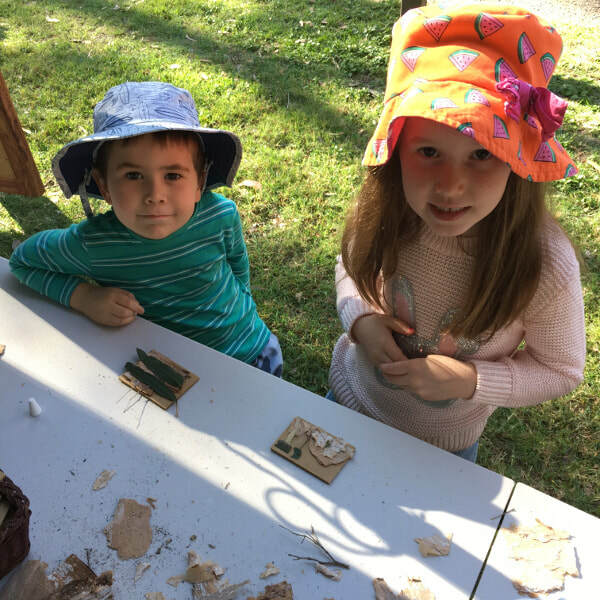 Kids were able to use their imaginations to create images for their take home magnets using the different colours of the paperbark and gluing it onto the board. 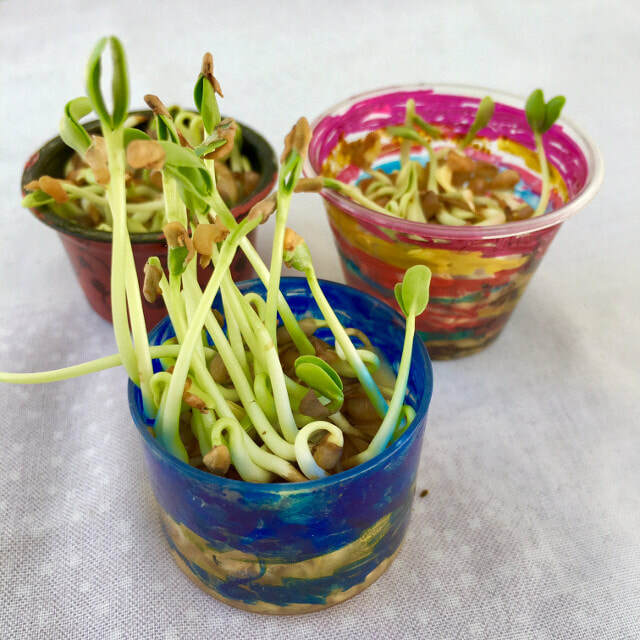 The mini bean sprout pots project was designed to show kids how easy it was to grow food using recycled plastic coffee pods, cotton wool and seeds. 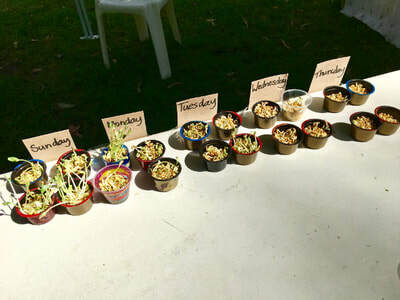 Kids were also able to decorate their pots. 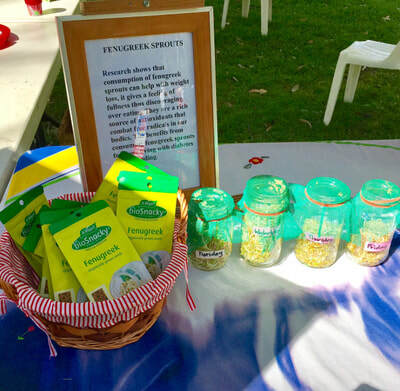 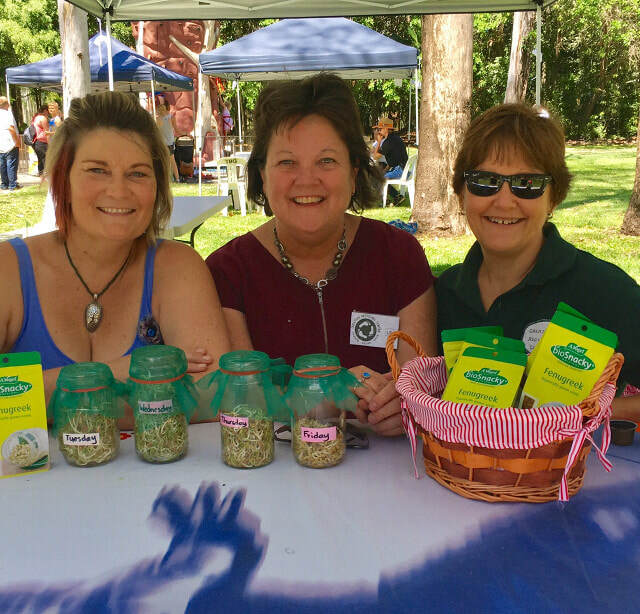 A big thank you to The Healthy Nut at 117 Toolooa Street, Gladstone for donating the seeds. Volunteers are always welcome and appreciated at CRC events such as these. Email us at info@creativerecyclingcentre.com if you would like to join us.